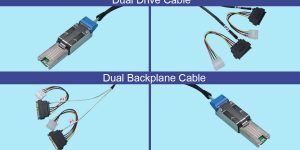 1m B-5124/1m 12G External HD Mini-SAS Dual Host (2)SFF-8644 to (4)SFF-8644 External HD Mini-SAS Drive Cable Please call for pricing and availability. 1.5m B-5124/1.5m 12G External HD Mini-SAS Dual Host (2)SFF-8644 to (4)SFF-8644 External HD Mini-SAS Drive Cable Please call for pricing and availability. 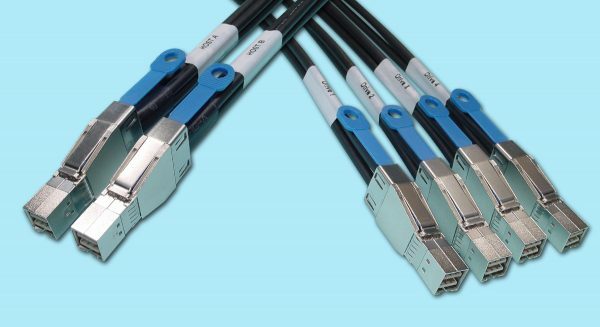 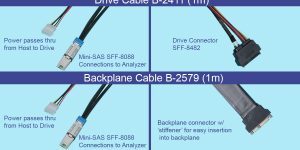 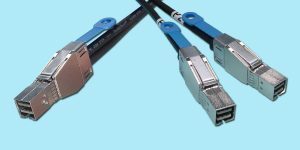 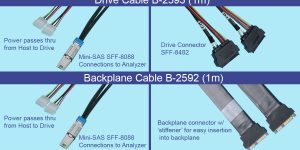 If your HBA’s each have (2) HD SFF-8644 connections, then a set of (2) of these cables will enable you to connect (2) HBA’s to up to 8 drives, accessing both ports of each drive.